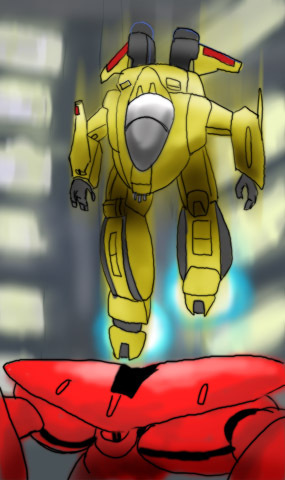 This is my version of the SuperLogan. 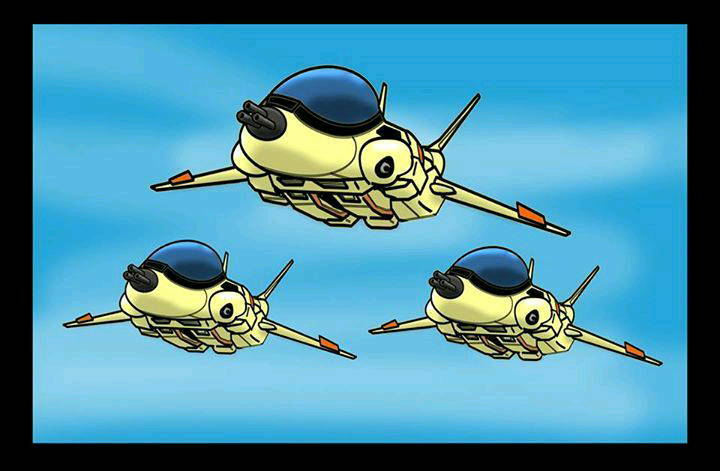 It was developed to supercede the original Logan, but was shelved after the introduction of "the AGAX Project"
Three of the 6 man Logan Acrobatic Team - "The Knights" going thru some practice runs, getting ready for the upcoming 30th anniversary air show. 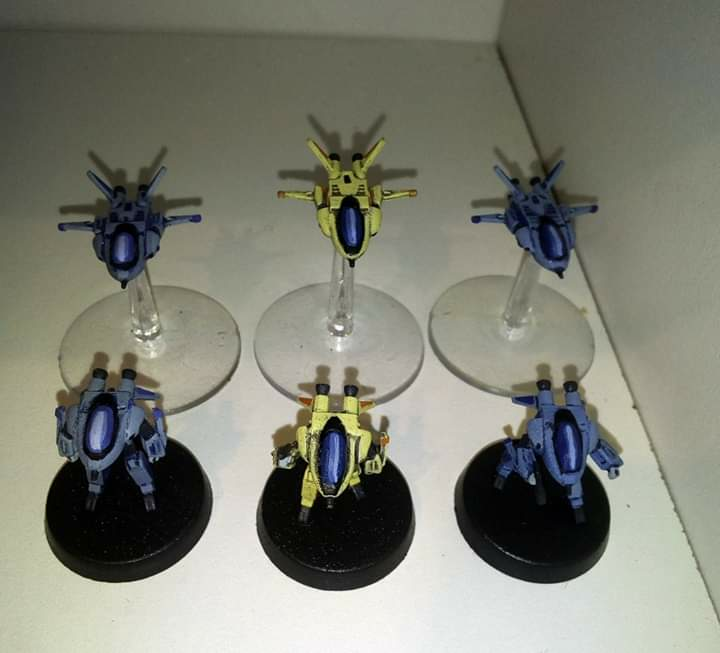 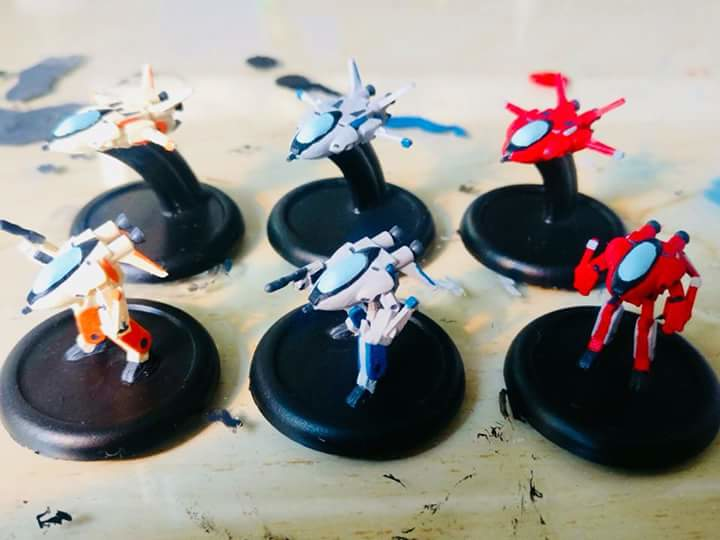 Lt. Sterling wasn't the ONLY one to occasionally take her squad out for joyrides. 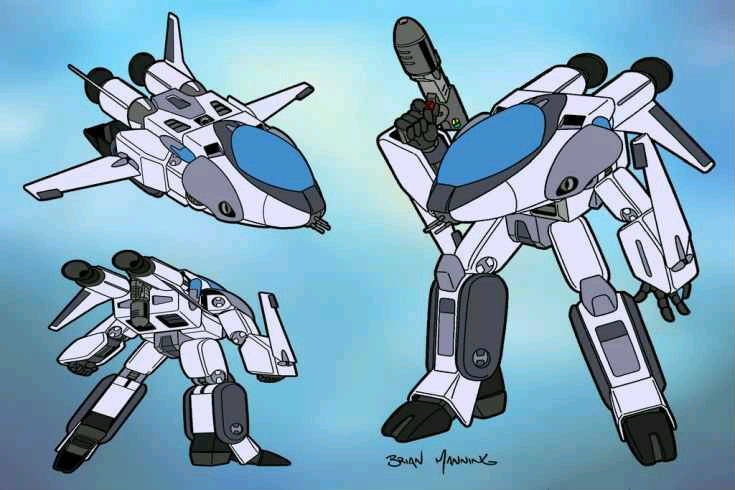 Only reason Lt. 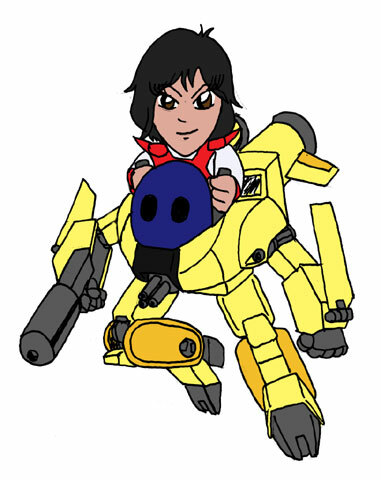 Crystal was neverreported for buzzing the local airport towers was because.... well YOU take on Marie Crystal! 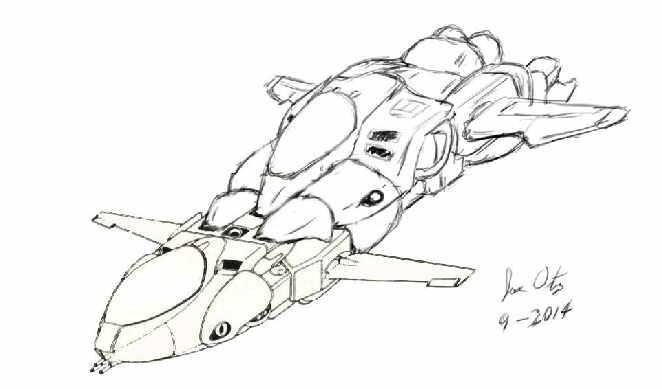 Orjinal plan Jose Ortiz's a piece of the first sketch. 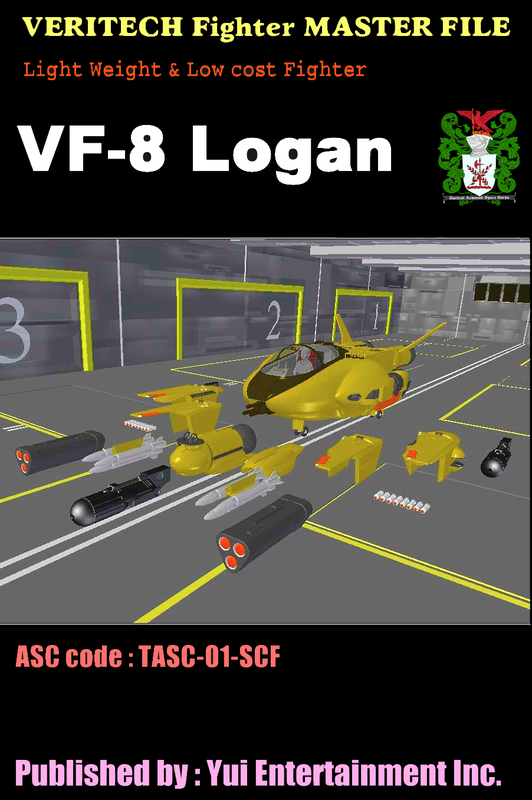 Becoming it is indispensable a burden, range, dual seats to use VF-8 LOGAN for Fighter-Bomber [FB], Wild-Weasel duty aircraft, EL-ectric INT-elligence [ELINT], Early Warning And Control System [EWACS] etc. 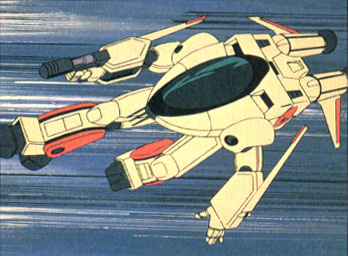 However, originally is lowest-volume; light; referred to "VFA-6 LEGIOSS" and "VFB-9 TRead" combination and was elaborated a plan demand realization by the combination with the support aircraft to give VF-8 LOGAN designed as the "LIGHT" VERITECH/variable fighter remodeling to satisfy this demand because the forward fuselage was too small. 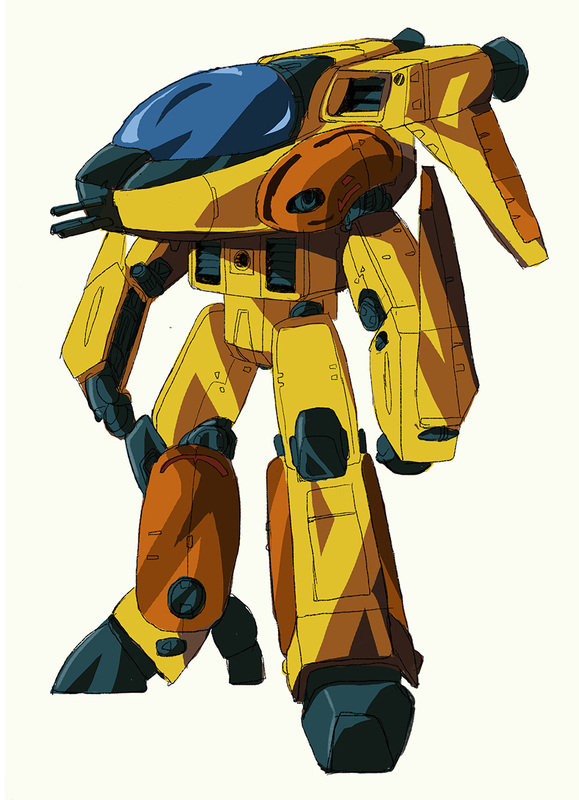 This design was considered to be α+β [alpha plus beta] and tried that I realized a demand by the combination of systems named VF-8 Logan [Alpha] + VFB-11 Blowgun [Beta]". 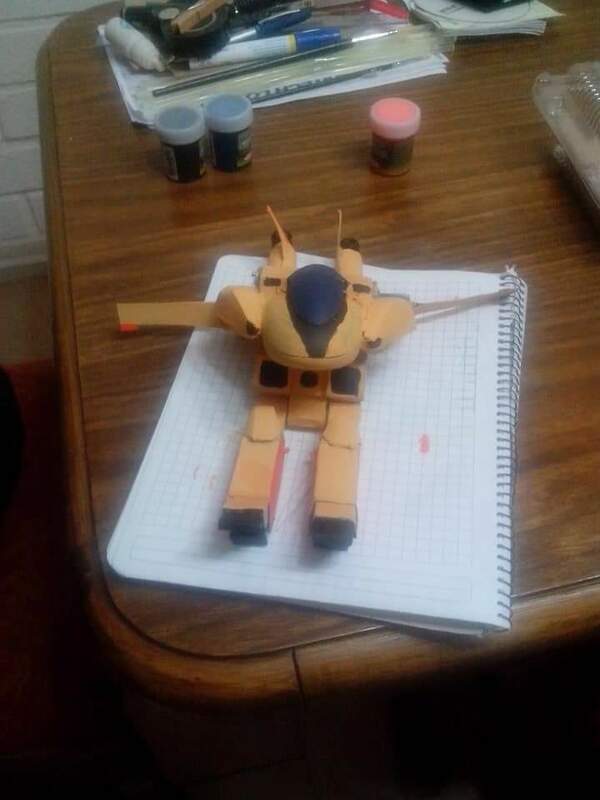 Alpha Logan + " Beta Blowgun "conbination ! 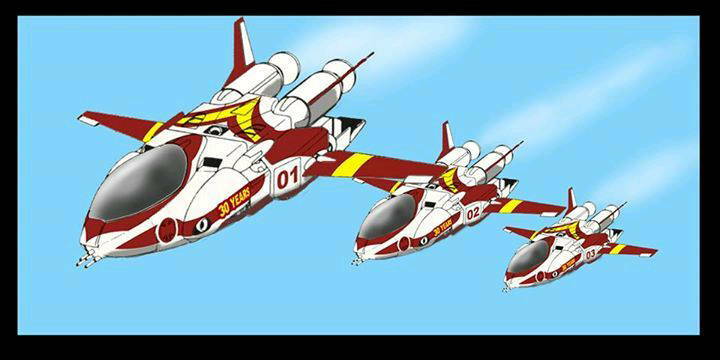 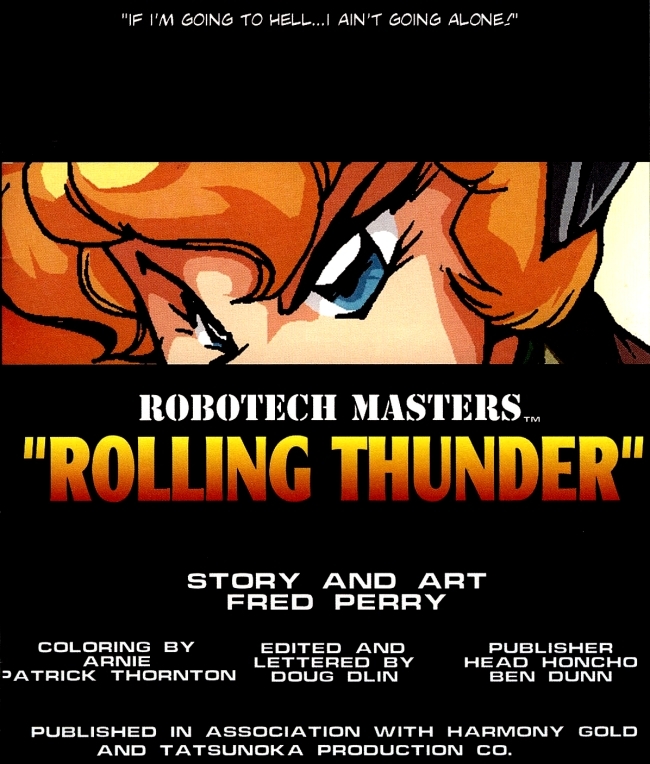 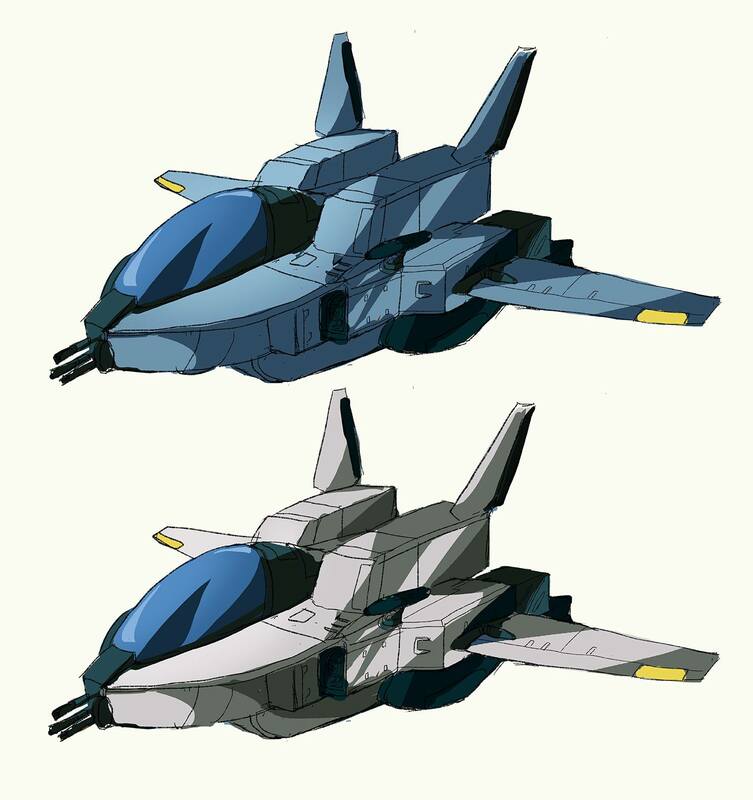 The dual-seated Fighter-Bomber suitable for Wild Weasel combat-trainer ! 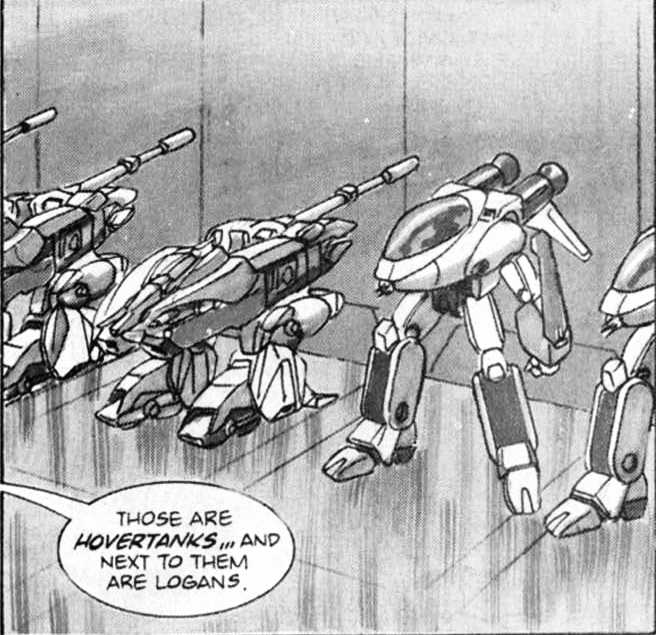 Logan is agilely-mecha with which "the space Fighter-Attacker" plus "light tank" ability has-been combined. 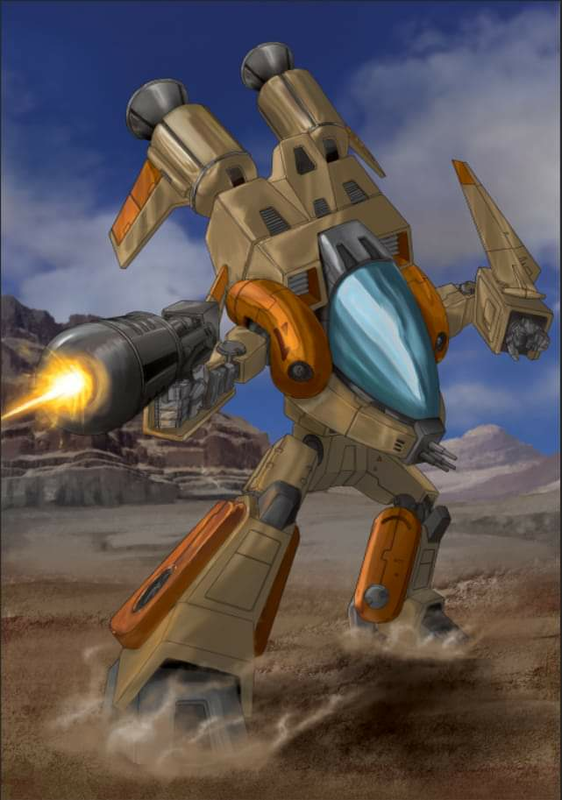 It has TWO of the battle configuration,Fighter-Attacker's high mobility and high-speed air-to-air combat, and the GERWALK configuration which develops a light tank ground approach battle forms. 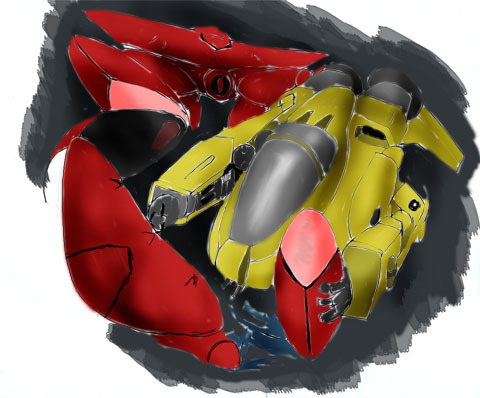 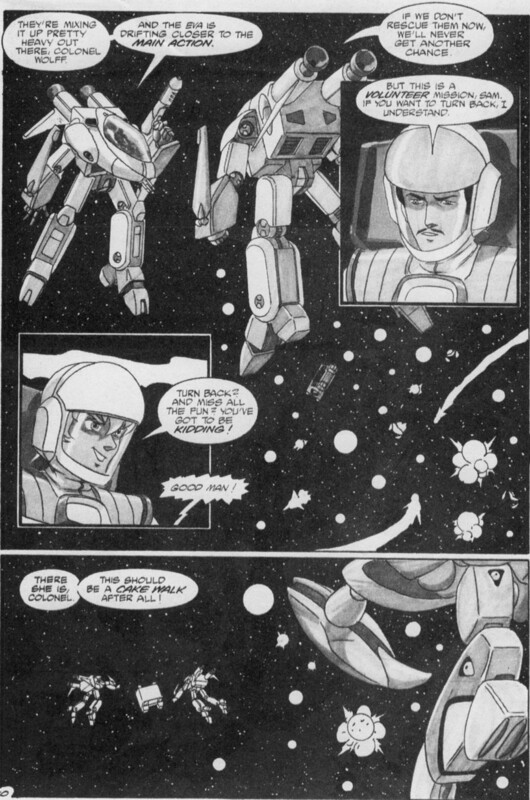 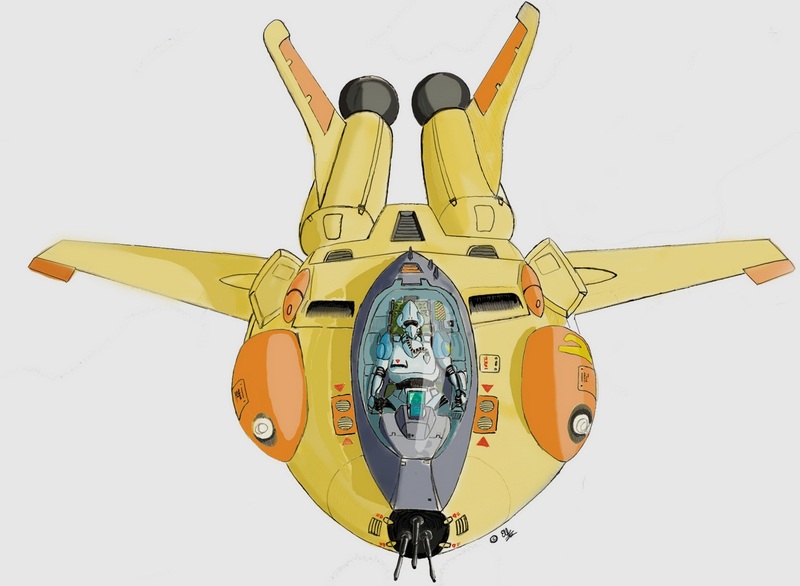 The TASC assumes not only the long-distance anti-warship attack duty to the battle cruisers in space but the inrush battle to the naval fleet of the enemy by this aerospace-craft, and the bottom designs the directions in the GERWALK configuration within the warship. 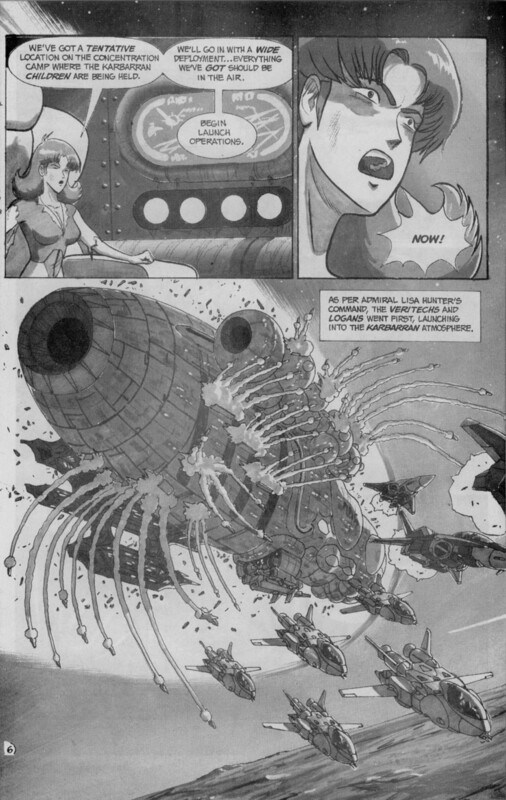 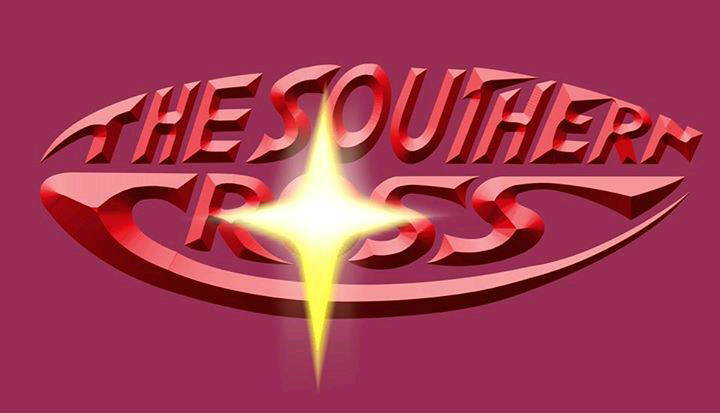 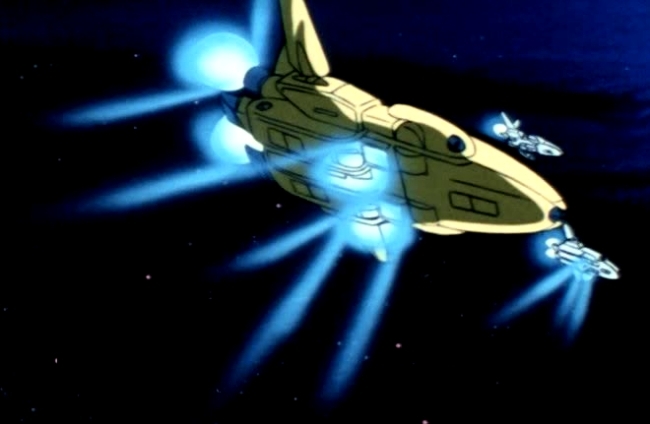 But the planet "GIorie" spacecraft launch base over the sky,lieutenant Marie Angel's squadron used the GERWALK configuration, in order to protect the base from the BIOROID's attacking in the ground battle. 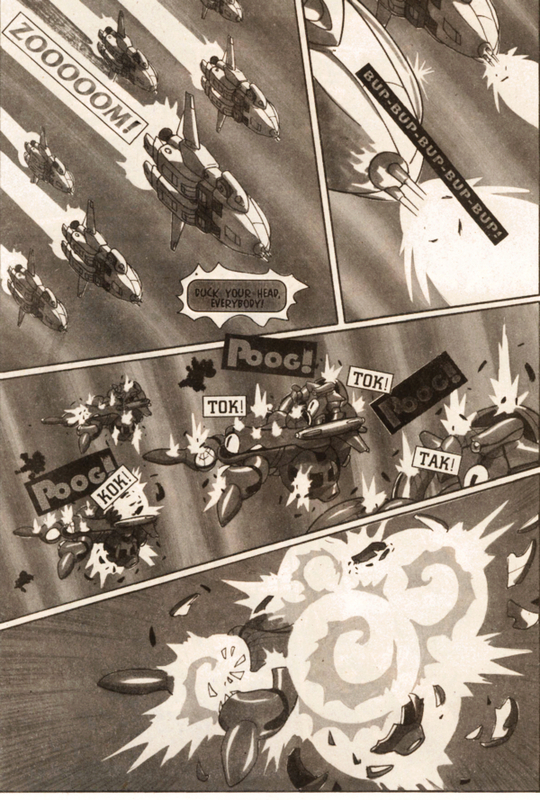 Page 44, Marie her Squad. 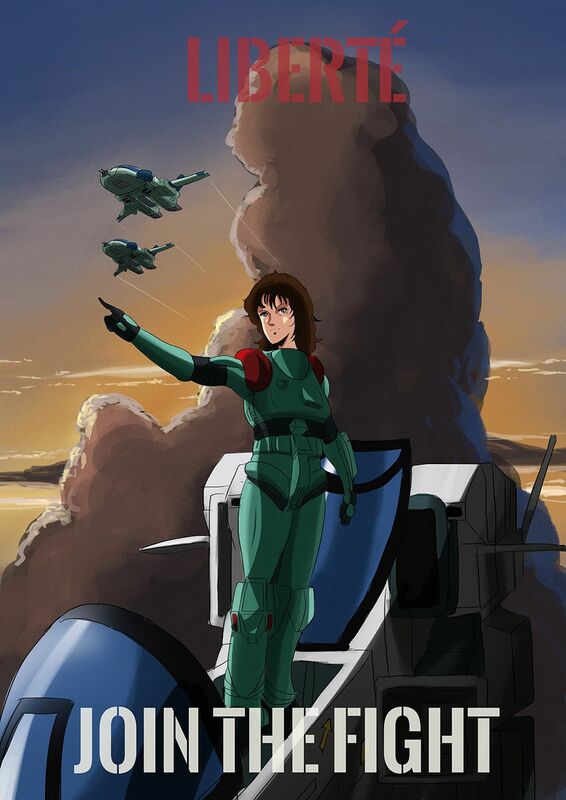 VF-8 "Logan". 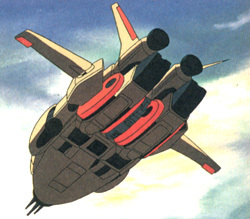 As the reasons of Logan could flew the long distance considerably in the atmosphere, it is used also for theAir-Superiority duty. 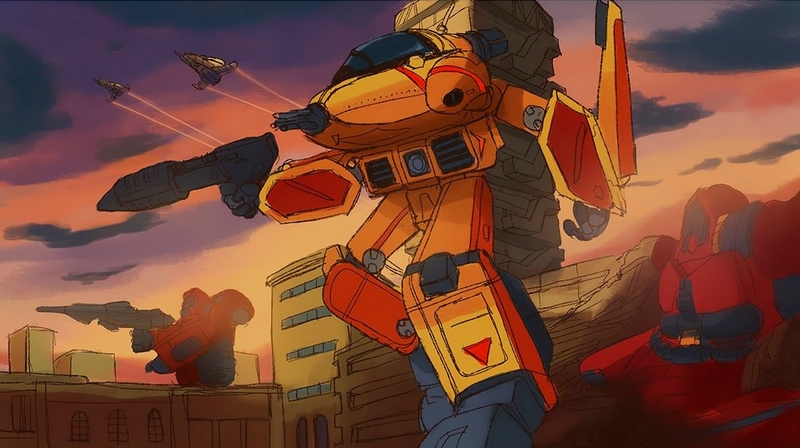 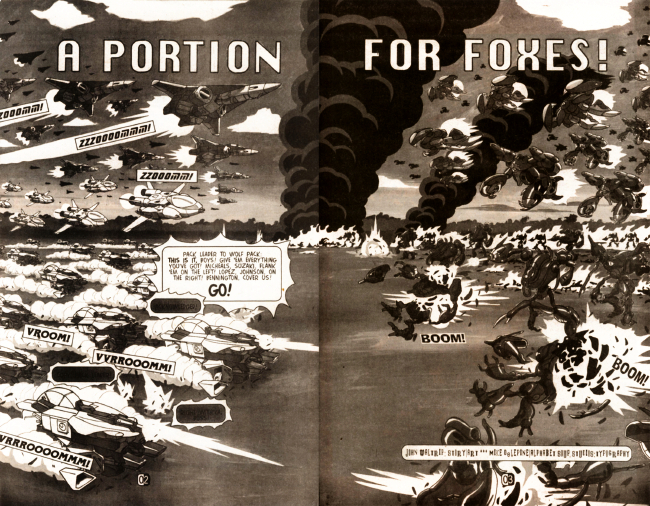 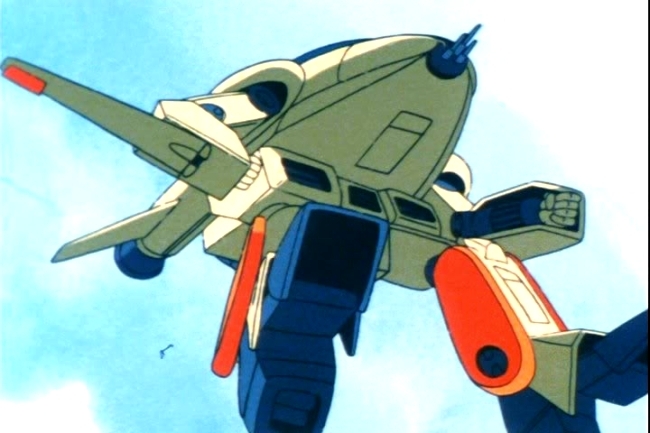 Since it assumes that Logan from which it specifically departed as an advance party gains control of an enemy,and guards even arrival of reinforcements, it is this two-configuration variable function that to be able to battle in the air and on the grounds both sides was demanded. 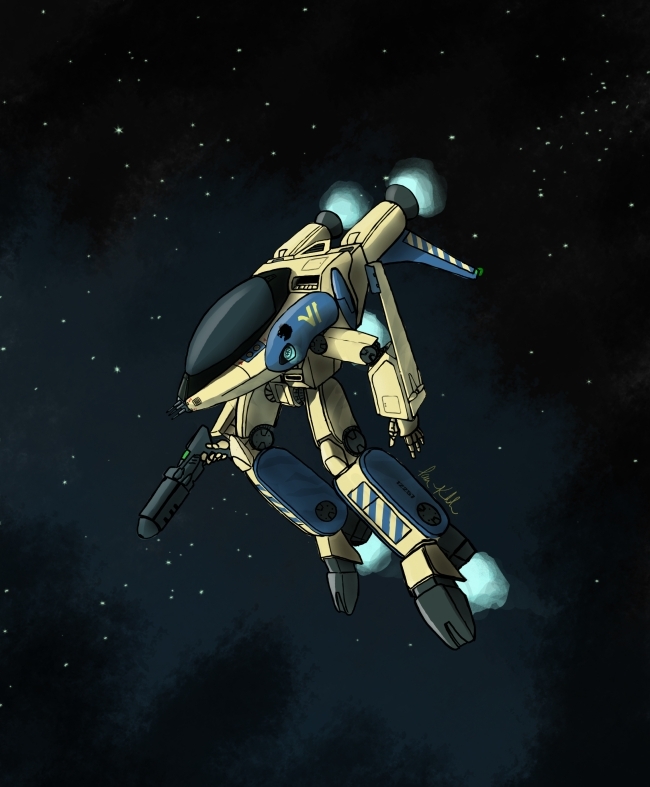 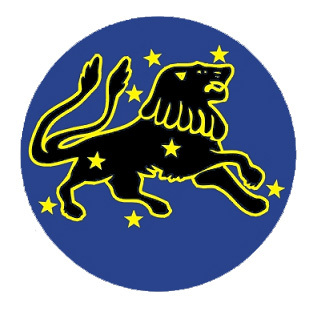 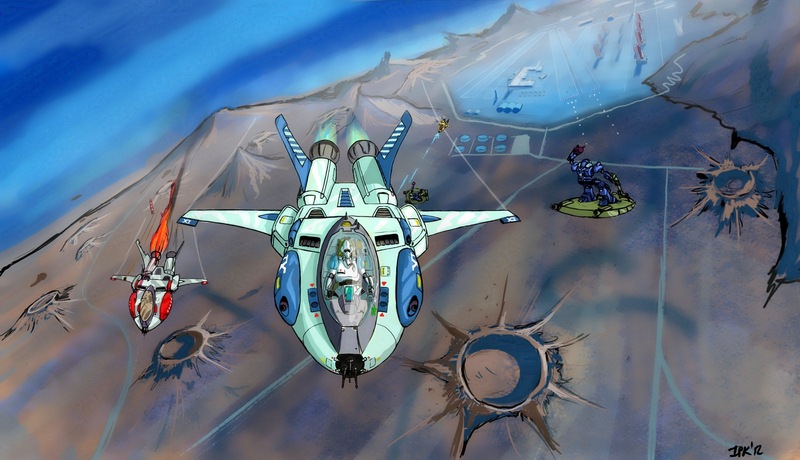 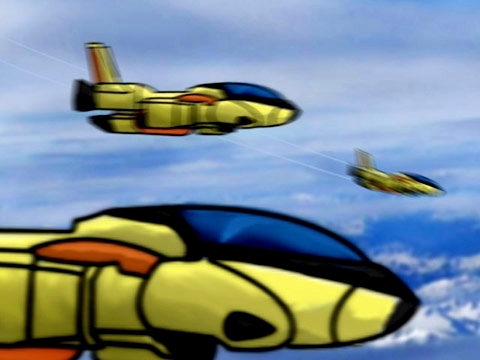 However, since enemy is driven into bitter hard-fight to the BIOROID which is quick response characteristic and also has flight capability with their own SKY-SLED, AURORAN will be installed as the succeeding next variable fighter in the Bureau of Aerospace Operation. Page 45, Marie_and_SD-Logan by Rei-Shinozaki. 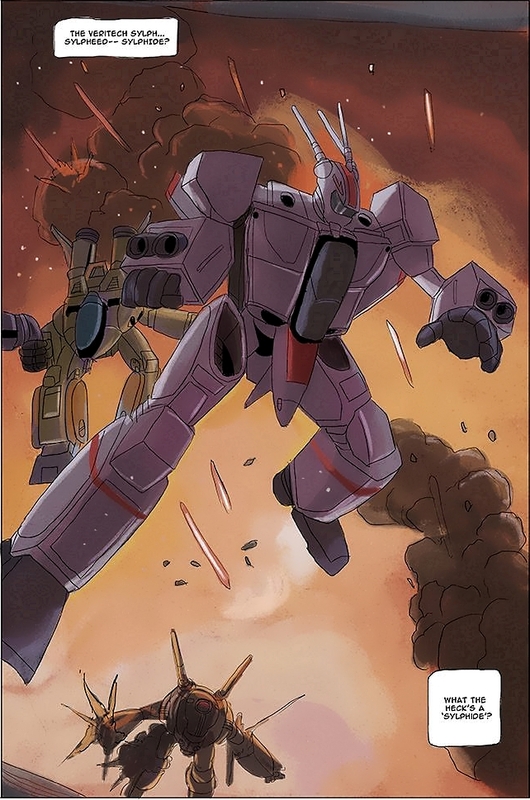 page 45 Close-Up ! 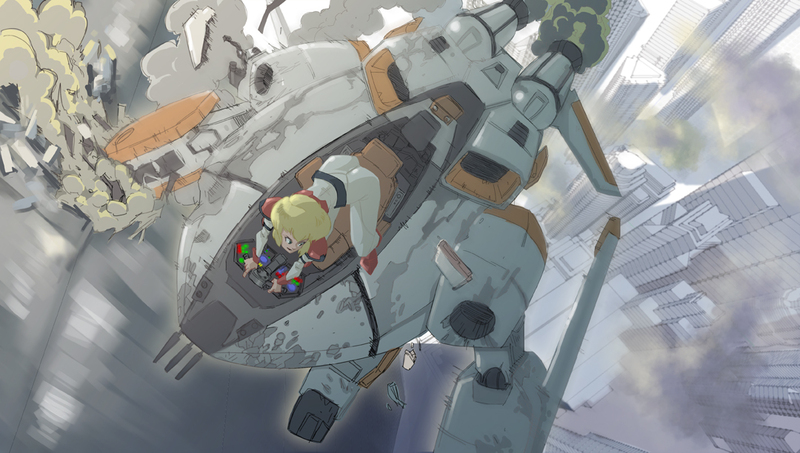 Marie-Crystal and her SD-Logan by Rei-Shinozaki. 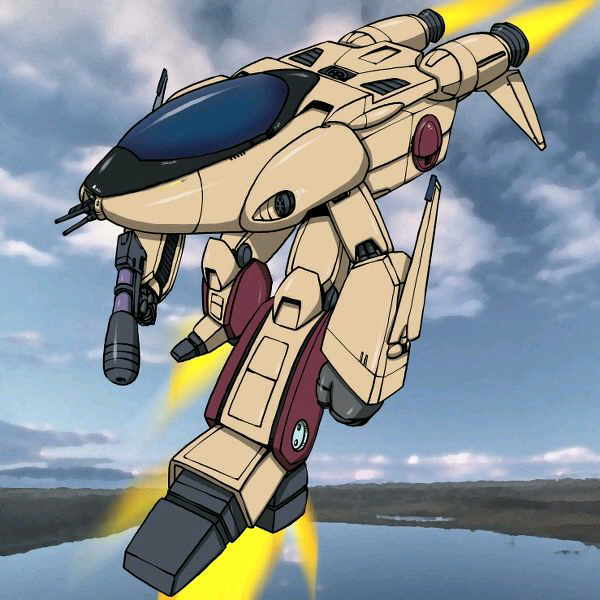 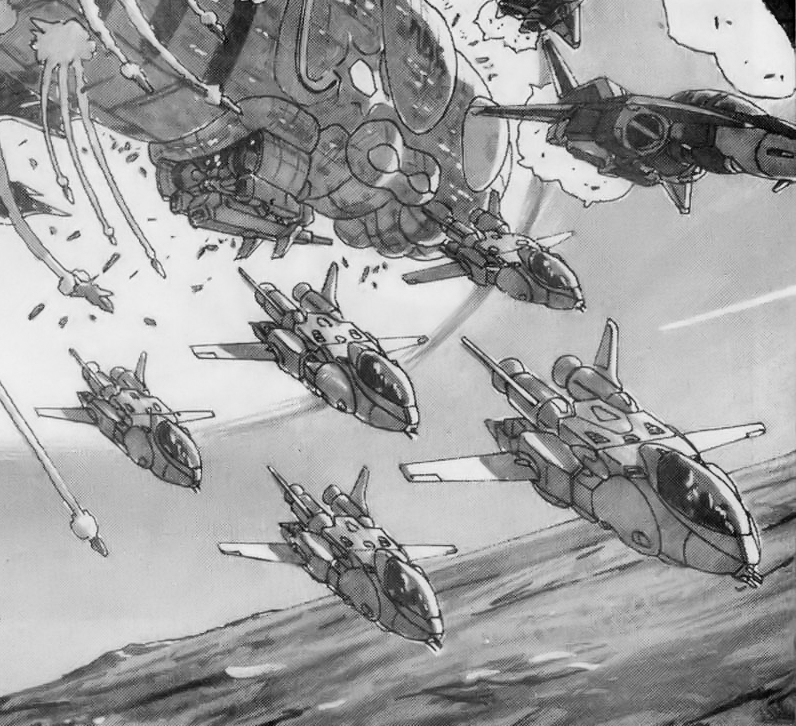 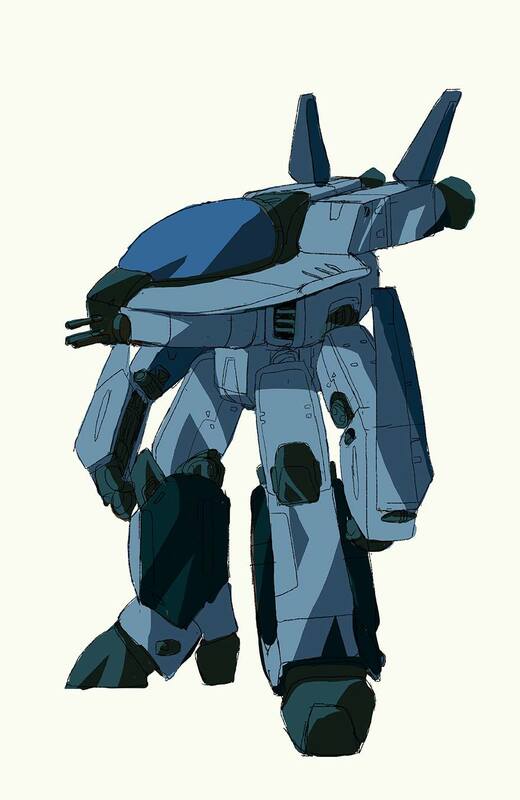 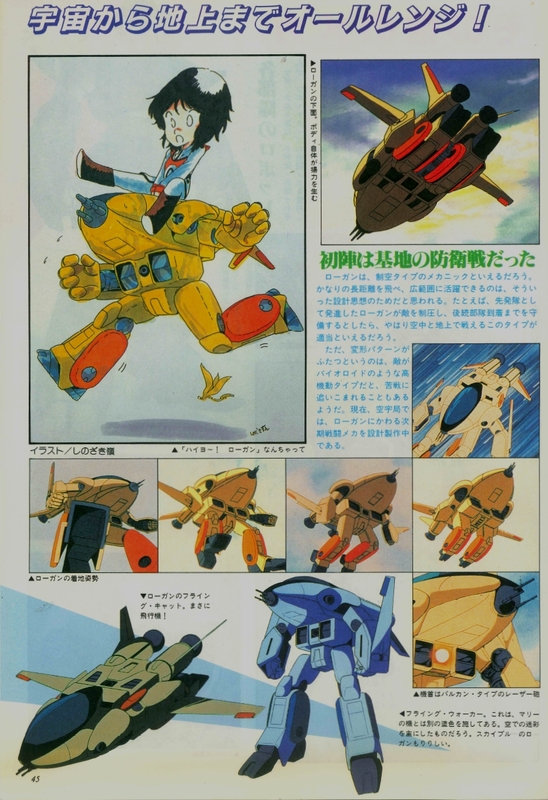 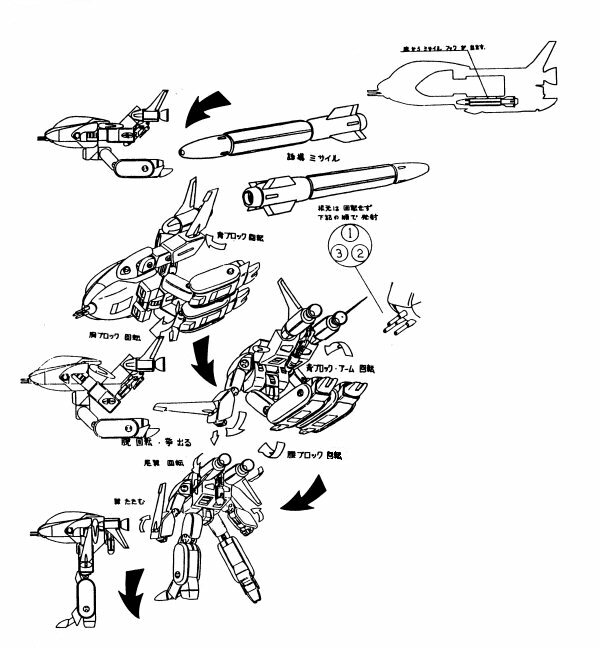 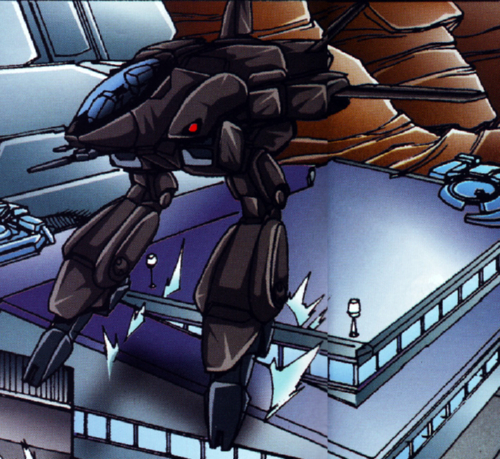 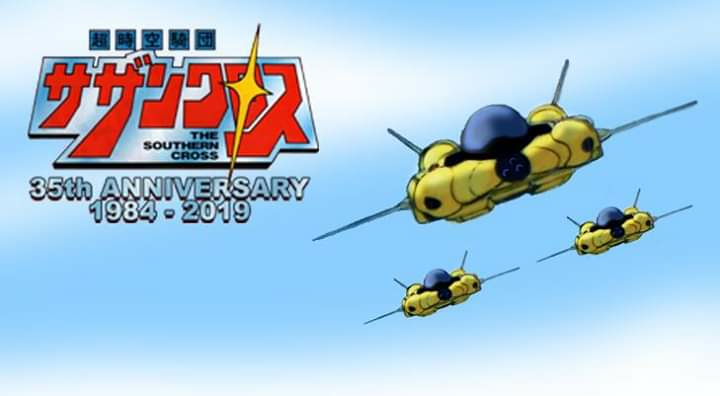 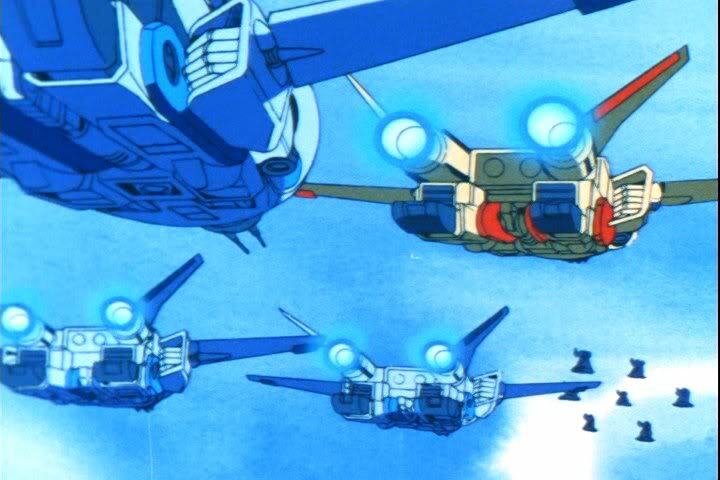 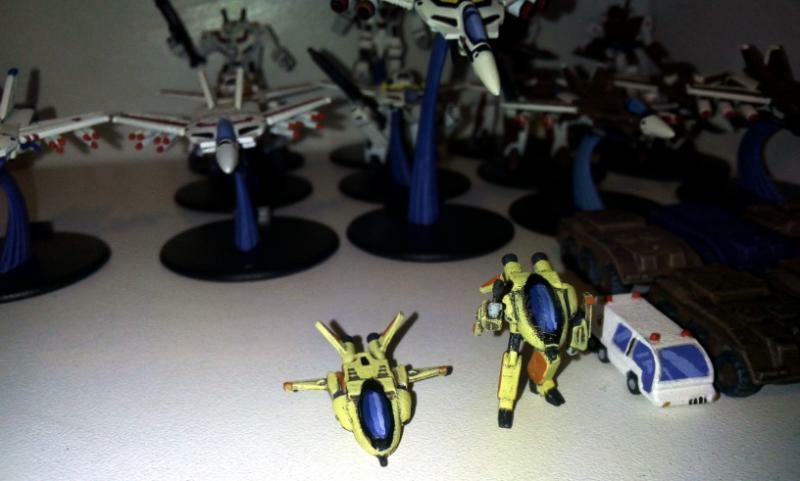 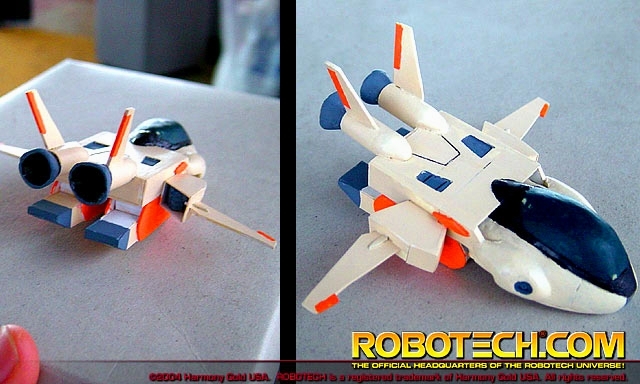 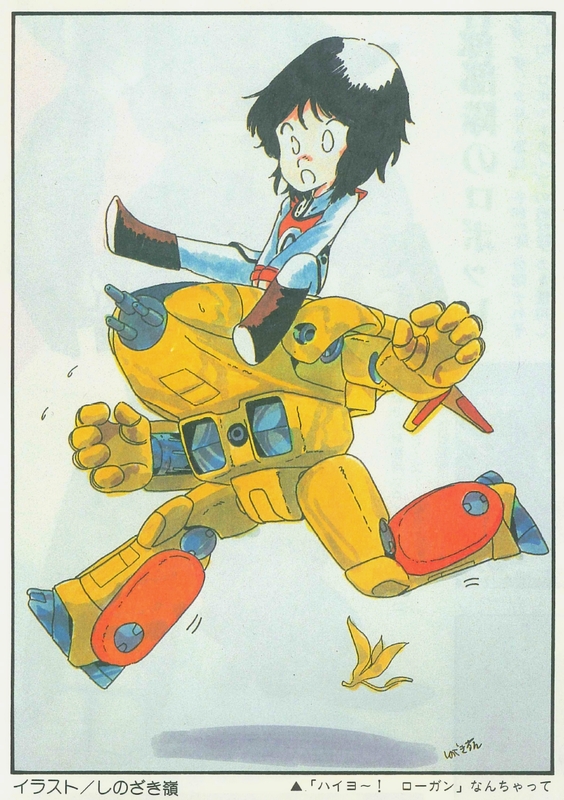 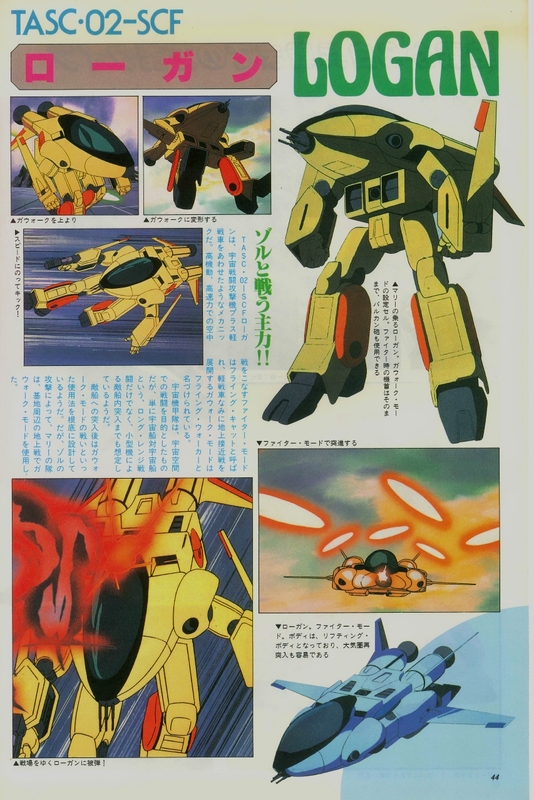 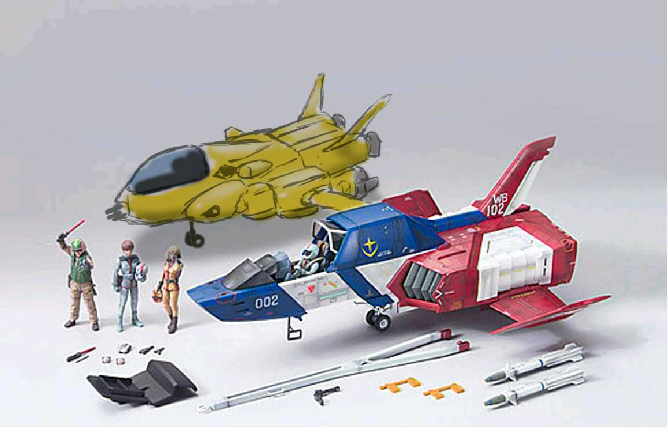 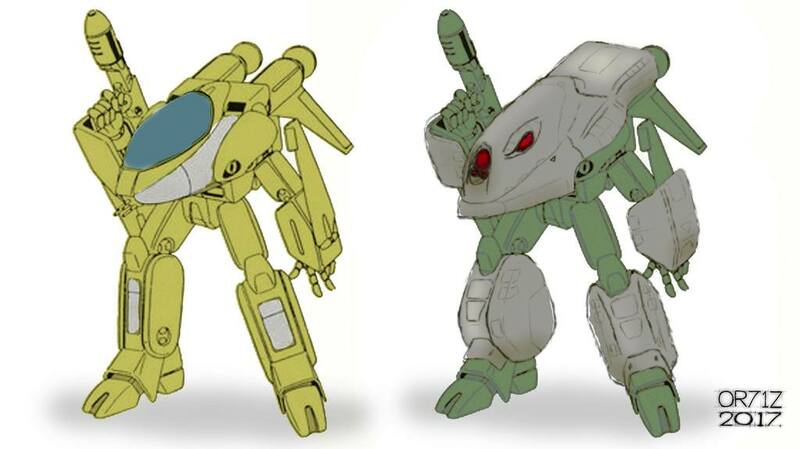 攻撃任務の後には空戦も行う。参考記事：ロボテック II：センチネルズ　VF-8 Logan from the Robotech II The Sentinels - Book II volume 16 - page 06.